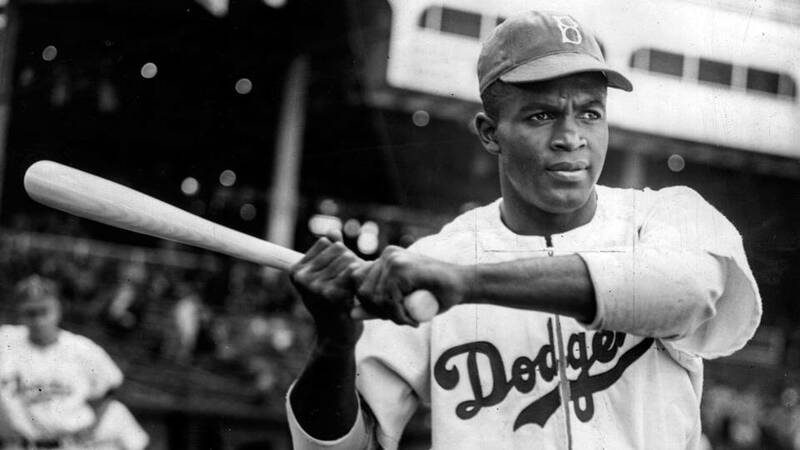 Major League Baseball celebrated Jackie Robinson Day on April 15, the 71st anniversary of Robinson making his debut with the Brooklyn Dodgers. The teams wore special uniforms, because why not make money off of Jackie Robinson with merchandise, although the proceeds are going to a Robinson charity. Baseball had an unofficial color barrier that kept black players from being on Major League rosters. Moses Fleetwood was the first announced black player ever to put on a Major League uniform with Toledo of the American Association in 1884 and also the last black player until 62 ½ years later. In 1947, there was still one city, St. Louis, where black players could only sit in the right field bleachers. Ralph Kiner, who was with Pittsburgh in 1947, cited World War II not Branch Rickey as the reason baseball had to desegregate. Kiner was right, there was a movement to integrate baseball. Sam Lacy, a sportswriter with black newspapers began pressing baseball in the 1930s to hire black players. Lacy wanted to meet with Commissioner Kennesaw Mountain Landis and was rebuffed. There was a demonstration outside of Yankee Stadium calling for baseball to change policy. Landis died and the new Commissioner Happy Chandler saw no reason for the color barrier. Kiner’s perspective was the war changed some of the thinking by a few baseball owners. Baseball moved slowly though. Boston’s Tom Yawkey finally gave in and had a black player on his team in 1959.